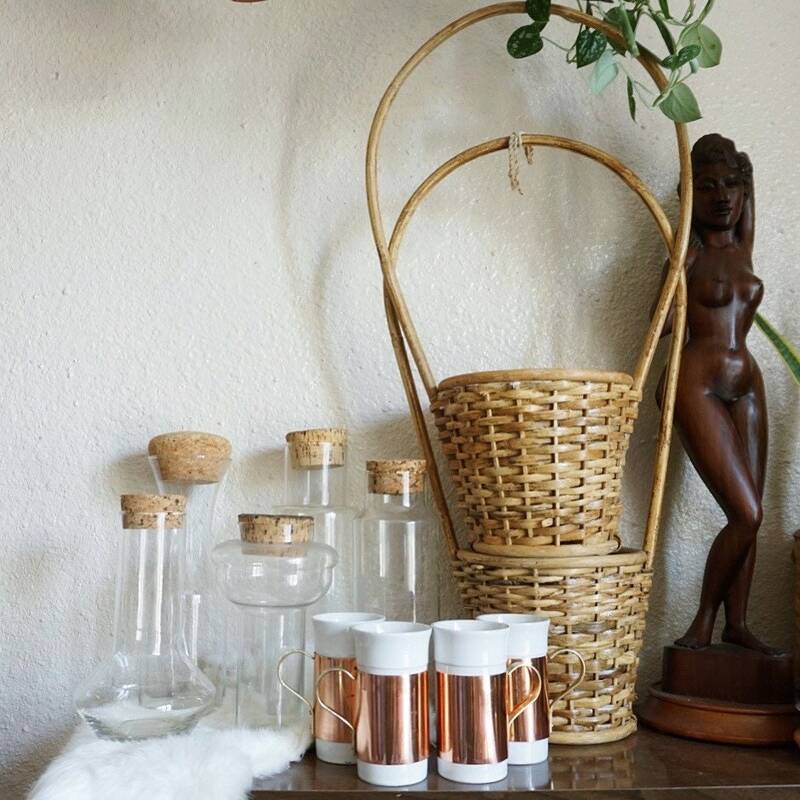 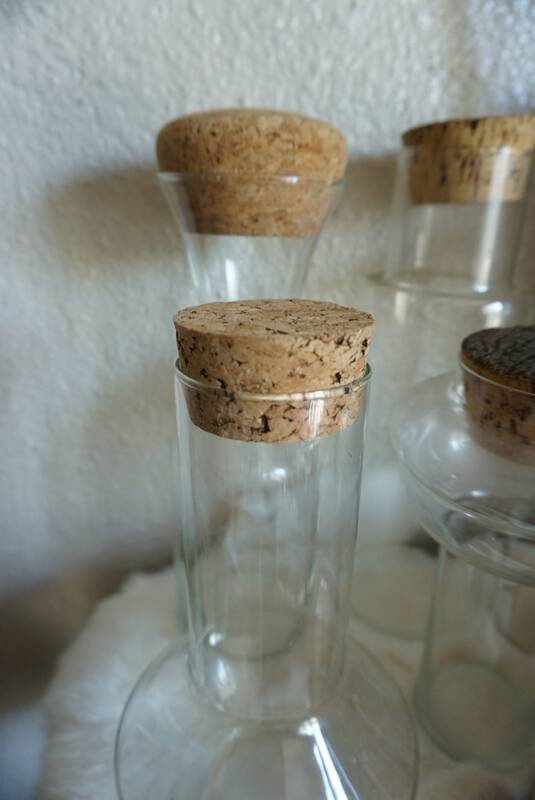 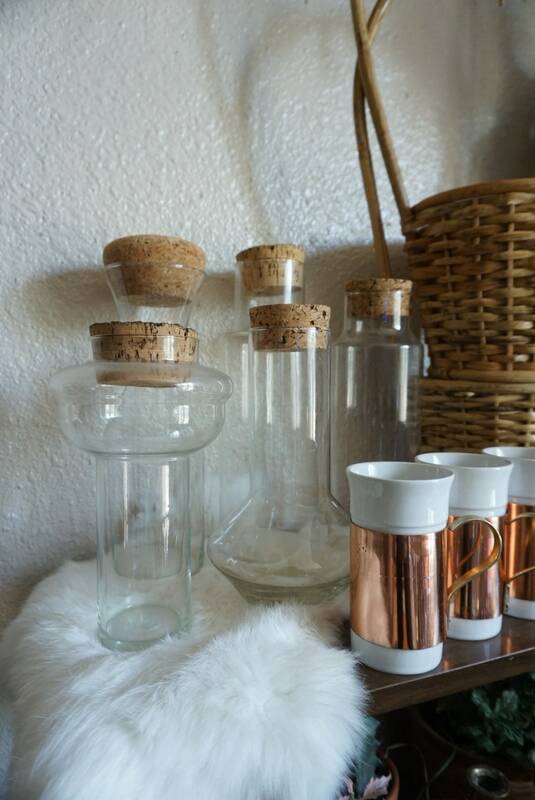 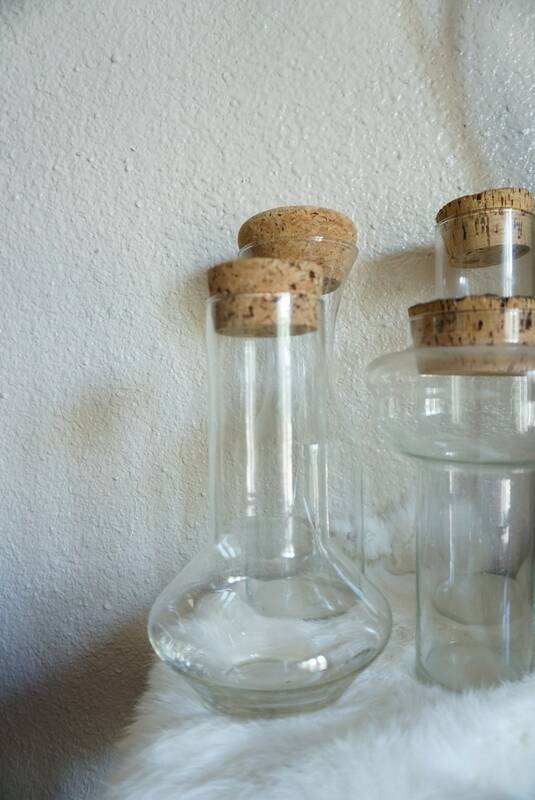 Vintage glass apothecary jars with cork lids. 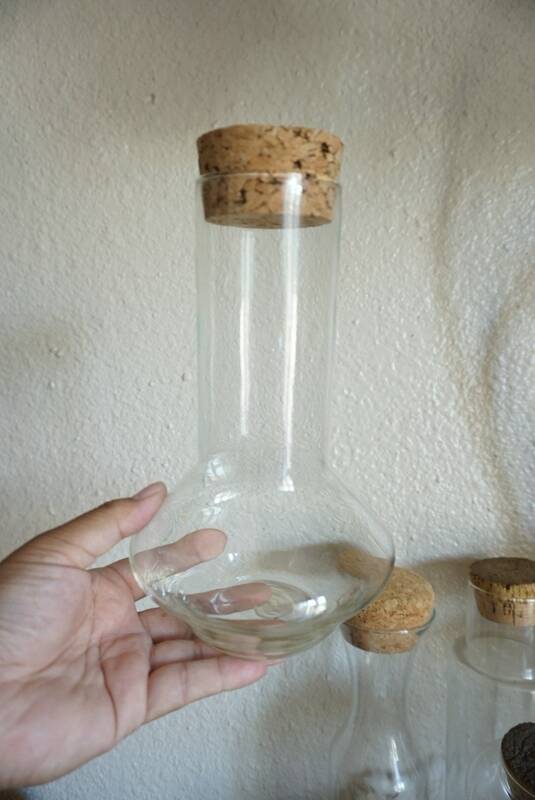 Tall and short cylinder shaped jars. 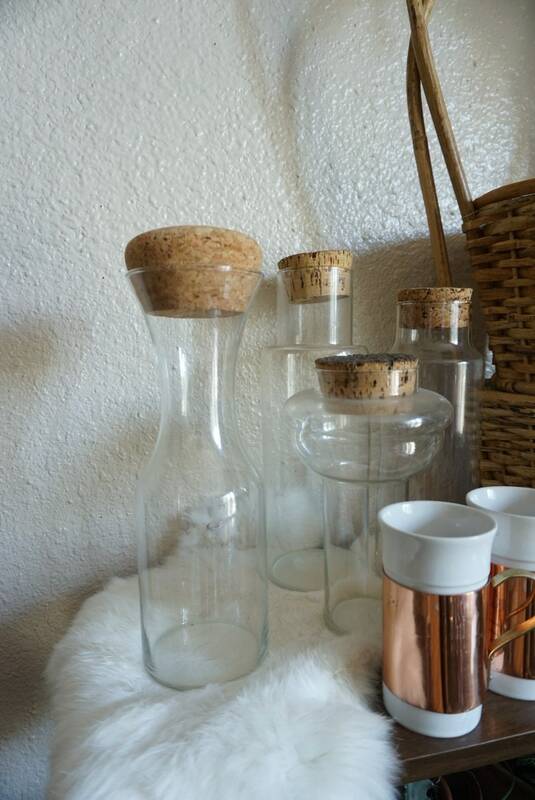 Perfect for displaying your little treasures. 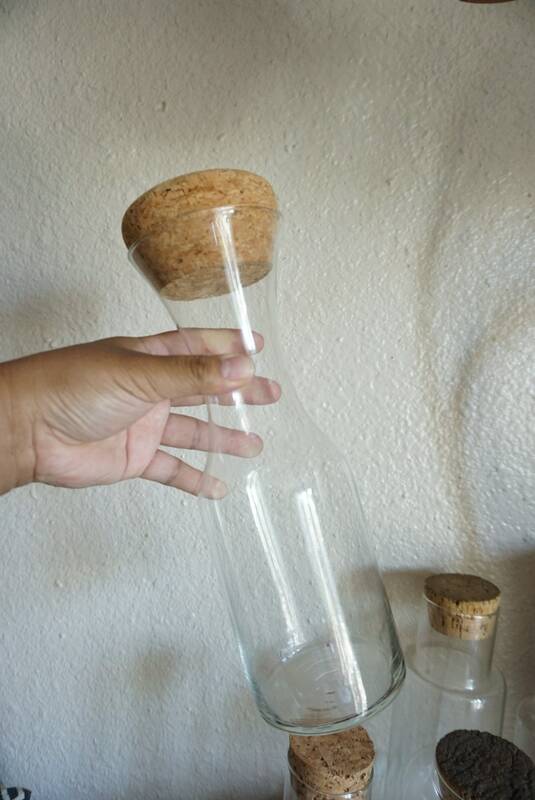 Good lightly used condition with no deep scratches or cracks. 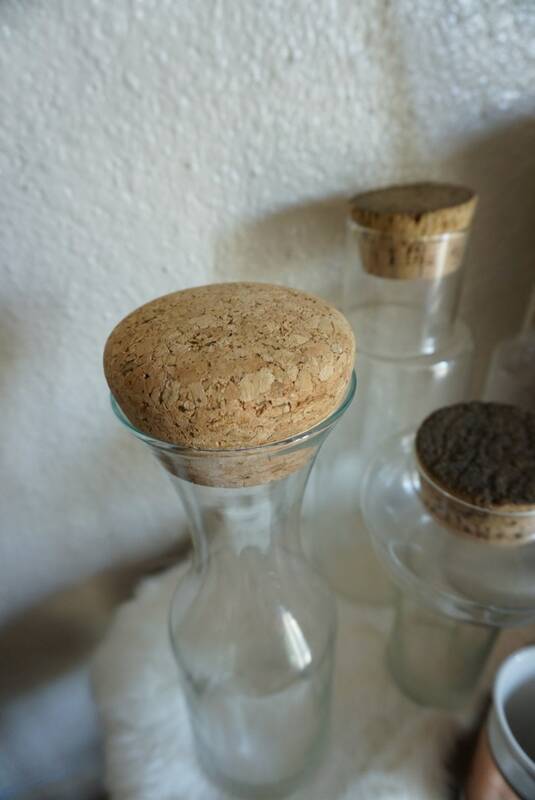 Not an original set - cork lids do not match. 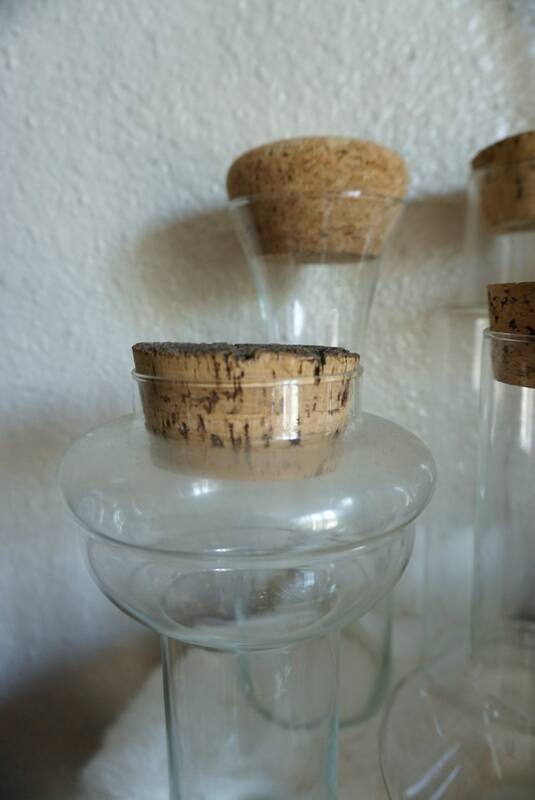 Some lids have dents and pieces chipped off. 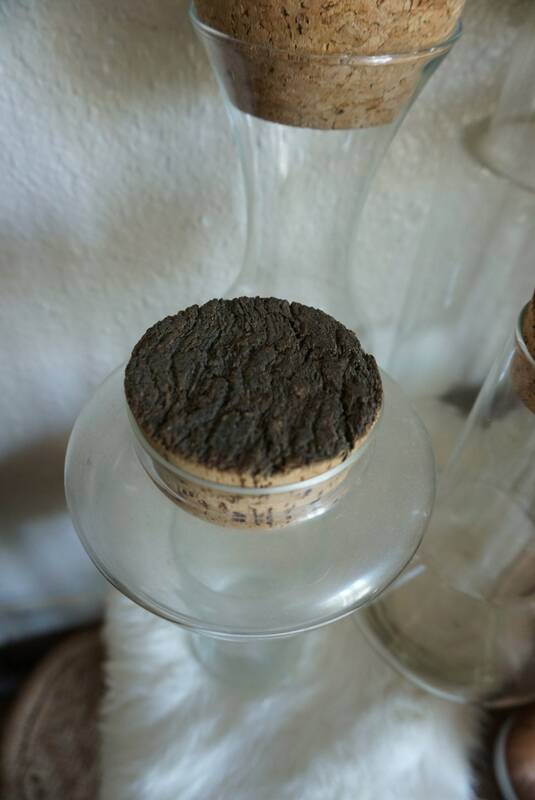 All jars have been lightly cleaned but may still have some residue inside.